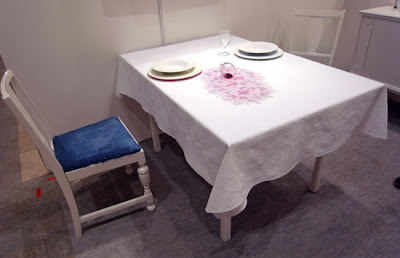 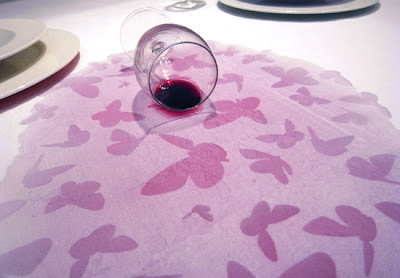 Norwegian designer Kristine Bjaadal exhibited 'Underfull', a tablecloth design during the Stockholm Furniture Fair 2010. 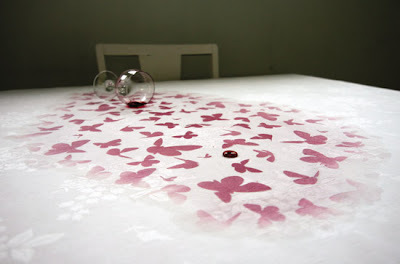 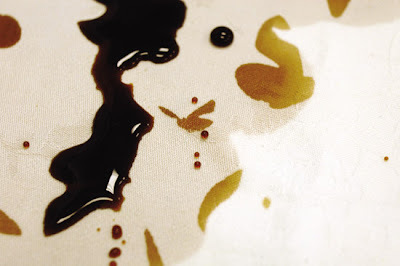 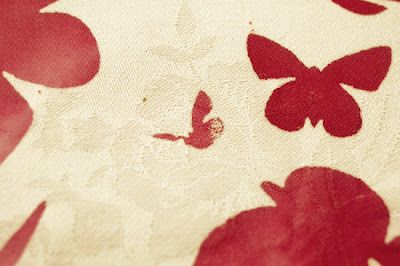 At first glance, the tablecloth appears to be a traditional white floral damask but reveals a hidden pattern when wet. 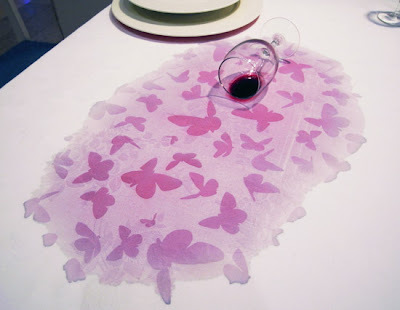 Everyone at some point is bound to spill a drink, right?! 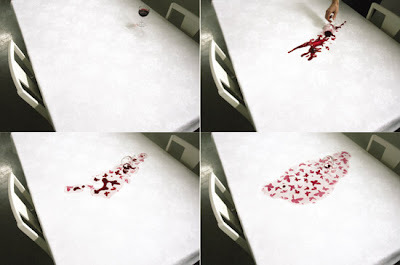 they make disposable diapers this way too with the indicator when wet.